"As originator of the original: Saw test screening of new movie. Apart from brilliant, genuine performances from the cast both female and male, it has more laughs and more scares than the first 2 films plus Bill Murray is in it! As one of millions of man-fans and Ray Stantz, I’m paying to see that and bringing all my friends!" 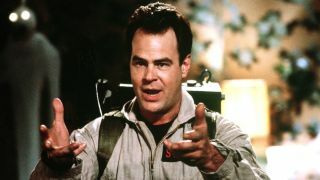 As one of the originators of the franchise, this approval from Aykroyd - who will also be making a cameo in the film along with fellow former Ghostbusters Bill Murray and Ernie Hudson - is good news for fans eager to check out the reboot when it hits cinemas. While the comments do have a hint of bias, that doesn't make them any less credible. In any case, we'll find out if Aykroyd's high praise is warranted soon enough.